GameStop has listed several PS Vita bundles, kits, components, games and accessories on their online store. Among the roster of featured products are the system's proprietary memory cards. The storage will range from 4GB to 32GB in capacity, and they will cost anywhere from $29.99 to $119.99. These prices fall in line with our previous estimates based on the costs for Japanese consumers. It's worth noting that some games will require memory cards, while others will not. We published a partial list of those titles a few weeks back, here it is for your perusal. The PS Vita will not have any sizable amount of internal storage. If you want to save on certain games, download content from the PlayStation Store or store any media on your device, you will absolutely need an external memory card. Of course, it almost goes without saying that those among us that expect to download a lot of content will need to opt for the larger storage option. There is a PS Vita Starter Kit, made by Sony, listed amongst the portable's launch accessories on GameStop's site. It's being sold for $24.99. While "starter" might normally imply that it has everything one needs to get started, this kit is lacking in the memory card arena. For 25 smackers, you'll get a system case, a game case, headphones, a car adapter and a cleaning cloth. The memory cards are not a part of the deal. That said, each of its included accessories are much cheaper when bundled than sold separately. Furthermore, GameStop also lists several games for the new handheld along with their price points. It looks like the standard PS Vita title will cost gamers $39.99, which, as far as I'm concerned, is right in the sweet spot. While I'd always love for it to be cheaper, $40 for portable games like Uncharted makes sense to me. 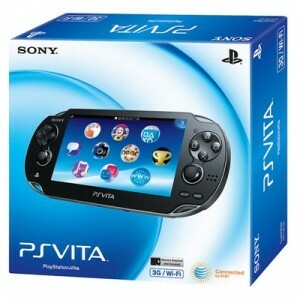 Will you be snagging a PS Vita when it launches on February 22nd, 2012?